Will The Jury Believe Me Or The Police? Deciding whether to go to trial or resolve a criminal case in Massachusetts without going to trial is a big decision. Some people cannot handle the pressure of having a case pending. These people want to get the case over with regardless of the strengths and weaknesses of the allegations. Others prefer to procrastinate and believe that at least when a case is pending there is no bad news. At some point however a decision has to be made; go to trial or plead out. One of the greatest concerns people have when making that decision is the weight that will be given to a police officer’s testimony. I am routinely asked “will the jury believe me or the police?”. Some of the factors addressing this question are discussed in this article. Is This Police Officer a Likeable Witness? Some police officers make very good witnesses. They are confident in their testimonial responses. They are polite. They appear to be honest. They are non-confrontational. These cops are going to be liked by the jury. Their demeanor will make their testimony compelling. Yet, these cops are not afraid to agree with defense lawyers that there do exist flaws in the case. They don’t insist on being right. Rather, they are simply responsive to the questions being asked. So, even though juries will like these cops, reasonable doubt can be established through their testimony. But fortunately you usually don’t have to worry about these guys. The typical cop is confrontational in court. He wants to be right. He will answer the prosecutor’s questions directly and succinctly. During cross-examination however things will change. The cop will not answer a simple direct question from the defense lawyer. Instead, he will respond with canned, evasive responses. For instance, I recently cross-examined a police officer in a sexual assault case about questions he asked my client when he arrived at the crime scene. The first question I asked was “Where was my client when you arrived at the scene?”. He made an imbecilic response. “What do you mean by that counsel?”. That was his most direct response to one of my questions. His answers got more and more contentious. He lost focus on why he was in court in the first place. One thing that became quite clear to the jury was that he was hiding something. In fact, he really wasn’t hiding anything. He just thought his job was to disagree with the defense attorney at all costs. The jury’s belief that he was concealing the truth resulted in an acquittal in a case that was otherwise strong for the prosecution. Is The Police Officer Lying or Exaggerating? Police lies or exaggerations can be fatal to a prosecution. Some police officers want to glorify their experience. These folks endeavor to make the defendant look as bad as possible and themselves as heroic as possible. In a recent OUI trial I had the primary officer testified that while at a sobriety checkpoint my client ran him over. Well, there were several other officers with him, none of whom reported this. Nor were any of the other officers able to corroborate his story. I suspect the reason why is because the officer’s report failed to mention anything about this near accident. Thus, when preparing for trial and reading each other’s reports, no one was advised of this event. Whether this was a lie or an exaggeration doesn’t really matter. What is important is that this cop’s unsubstantiated story likely effected his credibility with the jury. Will You, The Defendant Make a Good Witness? Perhaps the most significant factor in this analysis is what type of witness the defendant will make. If you are likeable, honest and sincere a jury will believe you. Don’t be afraid to contradict a police officer. If he is not telling the truth let the jury know that. Juries understand that cops lie. They understand that their purpose is to make credibility determinations. 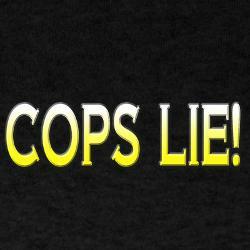 They know that cops, like any witness are capable of lying. Just let them know that the police are not telling the truth. If they believe you, and they like you, they will acquit you. Hiring the right lawyer to represent you for a criminal case in Massachusetts is a big decision. Before you settle on hiring someone make sure you talk to us. We can be reached at all times by calling 617-263-6800. Call us now. We can help you.